HP-SJ-5000-S2-Scanner Abandon paper-based workflows. Advance office efficiency with fast, intuitive scanning that turns hard copies into useful digital data. Rely on clear, legible results from a compact scanner designed to enhance collaboration. File size matters ——ensure files are saved with size in mind—automatically compress large files. 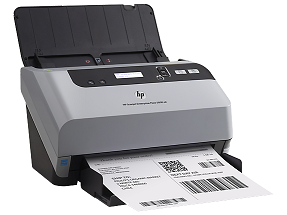 Save time —and simplify complex scan jobs with HP Smart Document Scan Software.